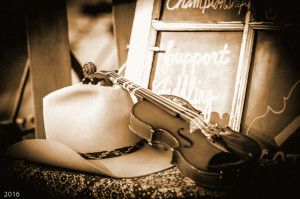 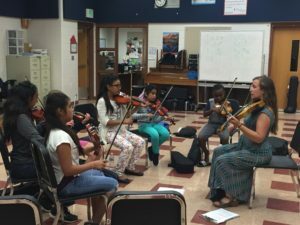 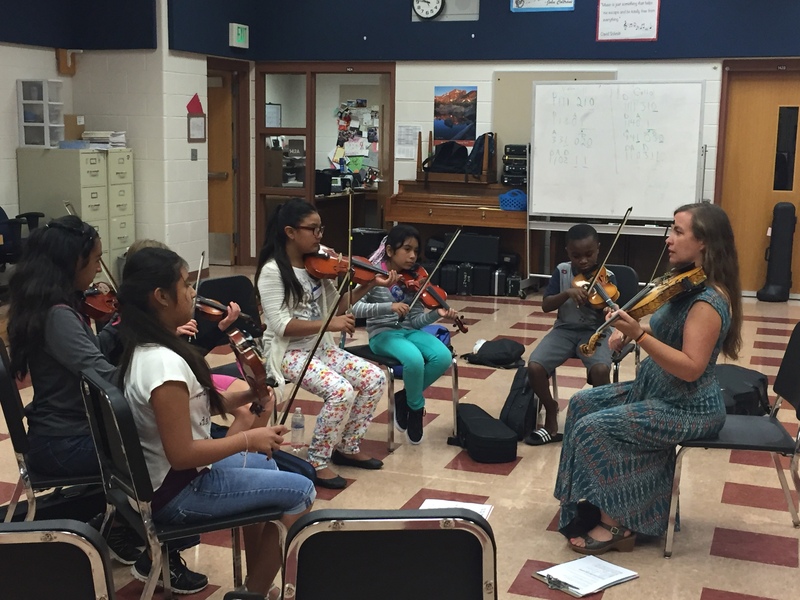 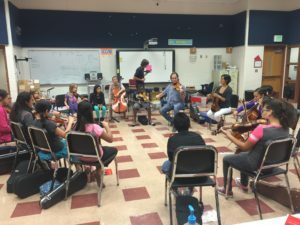 COTFA partnered with the El Sistema music program and sponsored an old-time fiddling workshop the week of August 8, 2016. Annie Savage, Natalie Padilla, Vi Wickam, and Ana Lleras were the instructors. 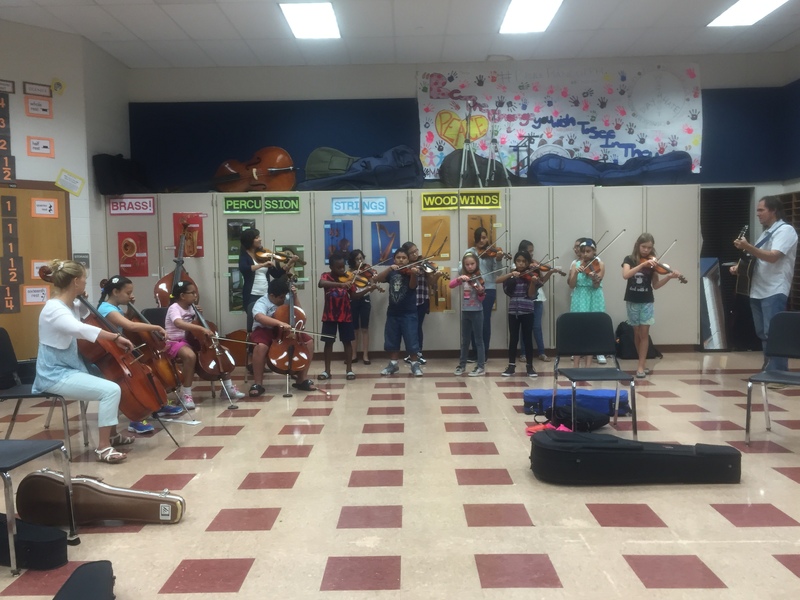 They provided instruction on the fiddle and cello to 15 students at Bruce Randolph Middle School. 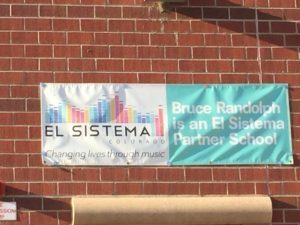 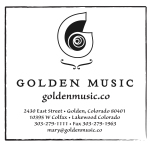 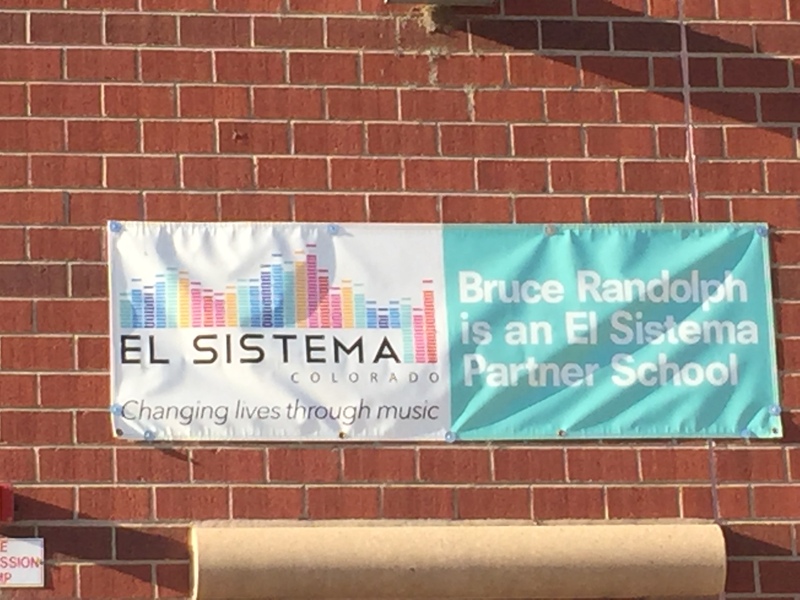 This was the first in a series of workshops that COTFA will sponsor on behalf of the children of the El Sistema music program. 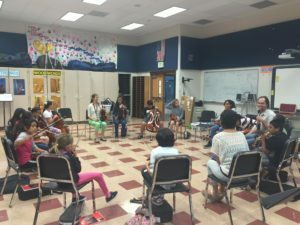 On the final day of the workshop, the students performed their newly learned songs for their family and El Sistema teachers. 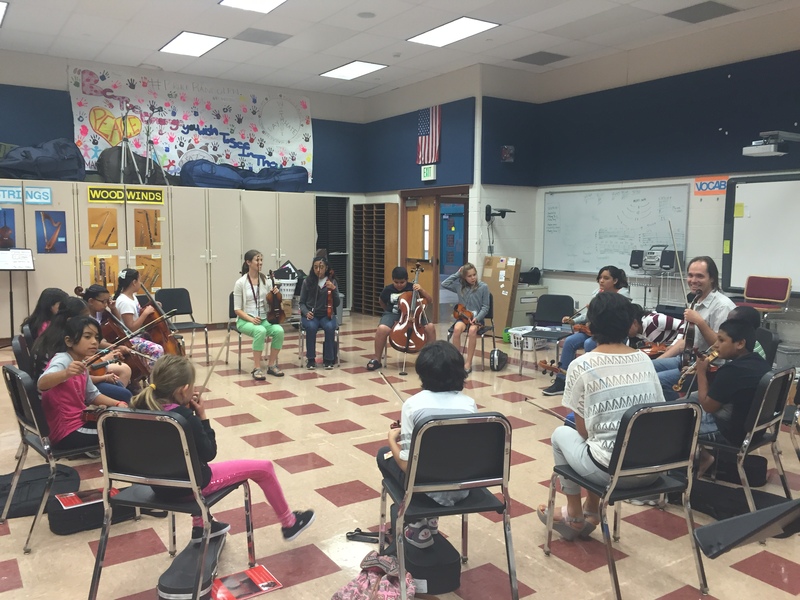 Instructors and students enjoyed the workshop.